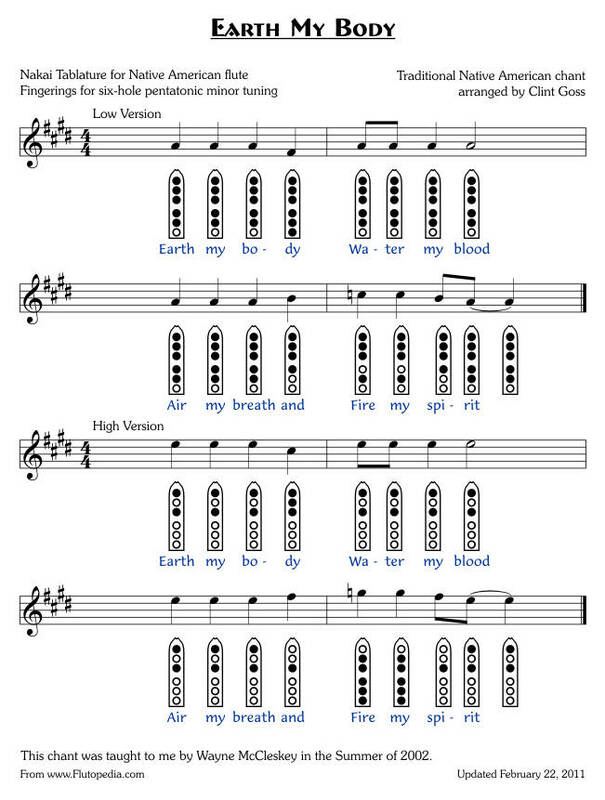 I was introduced to this chant by Wayne McCleskey at the Vashon Island flute gathering the Summer of 2002. 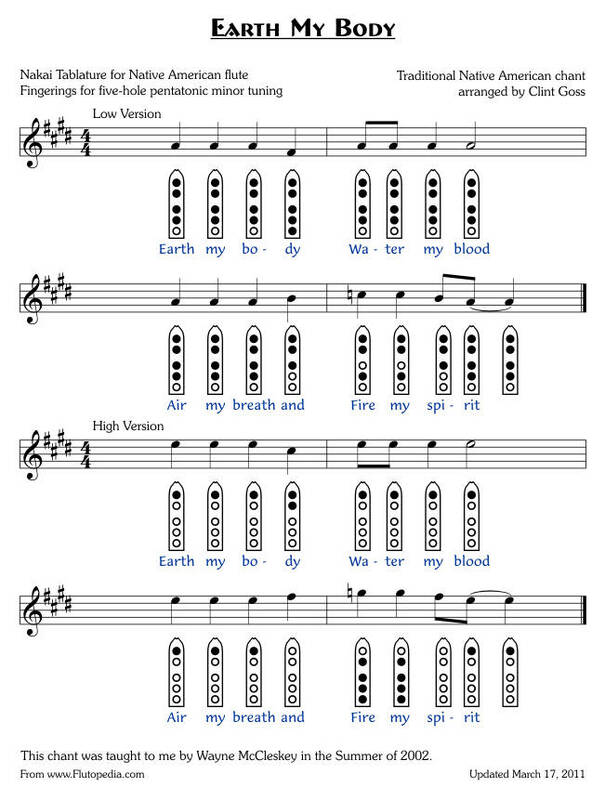 The earliest mention of Earth My Body that I've found is from Julie Forest Middleton's 1998 book Songs for Earthlings, which cites it as a contemporary chant of unknown authorship ([Middleton 1998]). According to Ian Prattis in his 2011 collection, the words are “from an Earth chant sung by children, in countless languages, around the world” ([Prattis 2011]). And here are some translations into various languages. Many are using Google Translate … if you are a native speaker of the language and have a better version, of if you would like to contribute a new language, please Contact Me. There are many melodies that have been used for Earth My Body. The melody transcribed below is from Wayne McCleskey at the Vashon Island flute gathering the Summer of 2002. Note that it uses an unusual note on the Native American flute: the “Fire” note can be fingered as , , or even depending on the particular flute you're playing. Clint Goss. C# minor flute by Brent Haines.